In my sewing classes I don’t only teach my students to sew clothes to wear for themselves and family but also to make beautiful soft furnishings. One of my students Maree made this gorgeous bed set for her friend as a present. 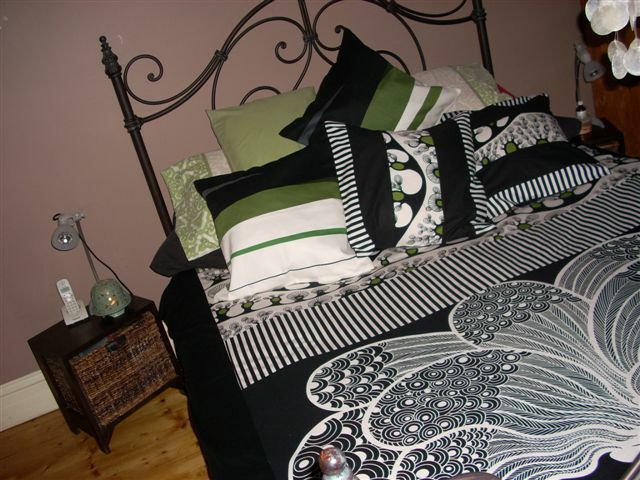 Maree chose a feature peacock panelled fabric along with 3 coordinating soft furnishing fabrics in the colours of apple green, black and white. You can see the finished design below – Well done Maree it looks fantastic!